If you’re not already following Susie Cagle’s reporting over at Grist, you should be. Like — now. She has a fantastic new series of articles investigating ag-gag bills. They combine Cagle’s reporting and interviews with her talent for illustrations. 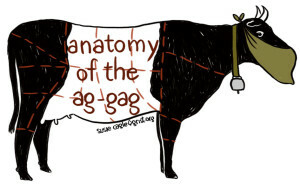 There’s also an interactive map about ag-gag laws, and a fun flow chart. With so many ag-gags defeated in recent years, activists have reason to be optimistic. But even in some states that have defeated ag-gags, the bills keep returning for another shot. 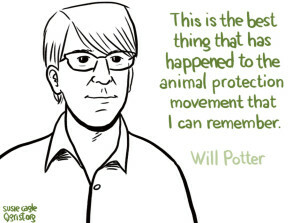 In rallying the opposition, these bills may be the biggest thing to happen to the animal protection movement in recent memory, but they may also prove to be the movement’s biggest test. So you want to document farm abuses?